Most people get a sense of déjà vu when they spot veteran leader, Shaun McCartney, walking around the Main Gate office area. And Shaun is no stranger to Welgevonden Game Reserve. Before pursuing his dream of becoming a Brew Master and running a craft brewery, this ambitious individual had been at the helm of this conservation conscious company. 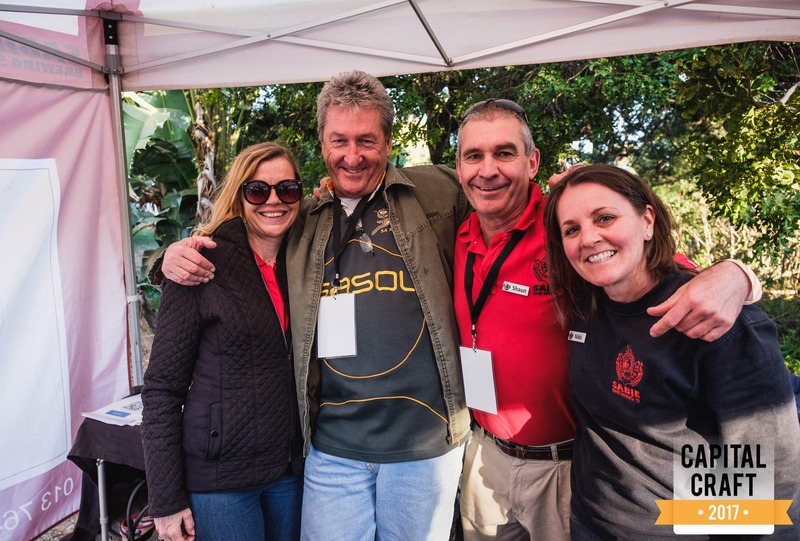 Having taken his own business, the Sabie Brewing Company, to profitability, Shaun set out to tackle the position of Welgevonden CEO once more, bringing a new perspective in his wake. Jess : CEO of Welgevonden is not new terrain for you. You’ve been in this exact position before. How is your approach towards undertaking the role different this time round? 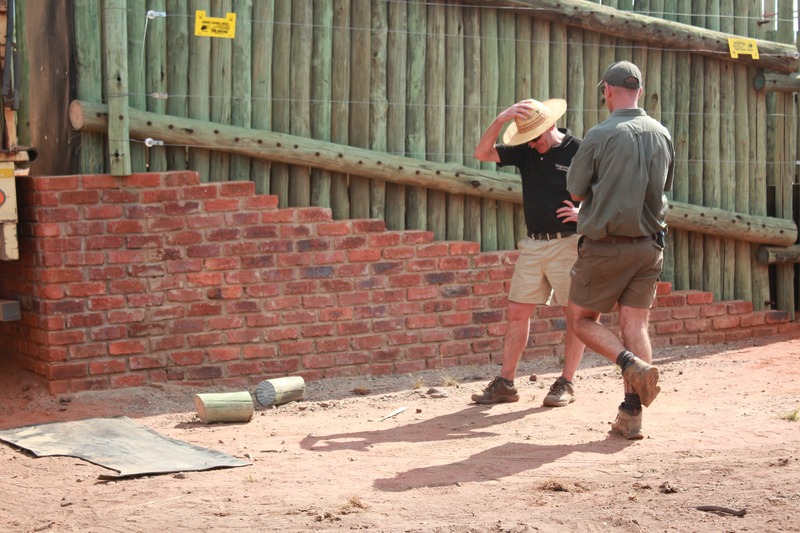 Shaun: Our goal is to become (if we are not already) the best managed game reserve in the world. The Reserve has evolved substantially since I was last here and there have been some dramatic changes under my predecessor. I remember during my first term as CEO, I paid witness to some of the most horrific fires in my lifetime. It’s astounding to think what destruction a single spark can create – it was something else. Since being back, I’ve already noticed a drastic change to the vegetative structure – a fire driven environment to one maintained by herbivores! My role is to ensure we sustain this high level of pressure on the vegetation and systematically increase the grazing lawns and the ‘stepping stones’ between them. Another thing that’s changed is our attitude towards technology. With the focus on technological security solutions, we’ll be changing the way reserves across the continent tackle wildlife crime. Being on the forefront of this radical concept, we will have to be adaptable, resourceful and keep an open mind. We’re also focussing on collaboration and building partnerships with government, big business and NGO’s to achieve our goals. Otherwise, my approach would be to tackle the leadership position as well as any other – head on. You’ve just come back from achieving a bucket-list item of yours – opening a successful craft brewery and taking it to profitability. Can you tell us more about this endeavor? And how do you feel the experience aided your already admirable skill set? This venture was totally different to anything I had attempted before. I was faced with the challenge of restoring an old heritage building, commissioning a 1000 litre brewery, employing and training unskilled staff and developing various beer recipes that are true to internationally recognised styles. Thankfully, I was able to employ and empower good people. By the time I decided to move back to Welgevonden, I had made 170 batches of beer, won a gold medal at the SA National Champs and was awarded the Lowveld Chamber of Commerce’s Entrepreneur of the Year Award. In my second month back on Welgevonden the brewery staff broke the record volume of beer sold for any month which gave me a lot of comfort and satisfaction that they had taken ownership of the business. This venture helped reinforce many things that have helped me develop as a leader. These include: setting a goal and having short term measures in place (you get what you measure so make sure you measure the right things); stay positive (negativity is very destructive); don’t have regrets in life (if you feel strongly about doing something go with your instincts); don’t burn bridges (by maintaining good relationships you can go back and carry on doing things you most enjoy); know when you have achieved your goal (once things become repetitive it might be time to hand across to someone else); make sure that the organisation can carry on without you or anyone else for that matter (have a succession plan); take some time out to drink real beer – for craft sake! I’m sure many people are wondering as to what prompted your return to the Reserve. Can you offer some enlightenment? In a way I feel like I have been away on a sabbatical and I get to eventually clear my inbox, dealing with unfinished business. I felt that I had achieved what I set out to do in building a brewery and making good craft beer. The business was starting to feel a little small and I developed an itch to get back into conservation related work. You might wonder why I came back to the same reserve rather than trying something new. 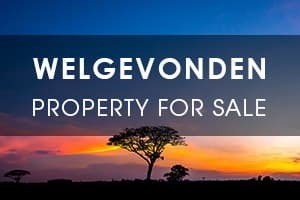 Welgevonden is an exceptionally unique company with a hunger to continually improve and maintain a status as one of the best managed game reserves on the globe. What I love is the professionalism of the company and the way the Reserve attracts good people in the business we operate in. It’s run like a business in all aspects of its management, engaging the recommendations from experts ranging from diverse topics whether it be soil nutrition or HR, not only listening to these people but implementing their wisdom on a scale that matters. There is nothing that can substitute good science and, in this respect, we have the best in the world to guide us. 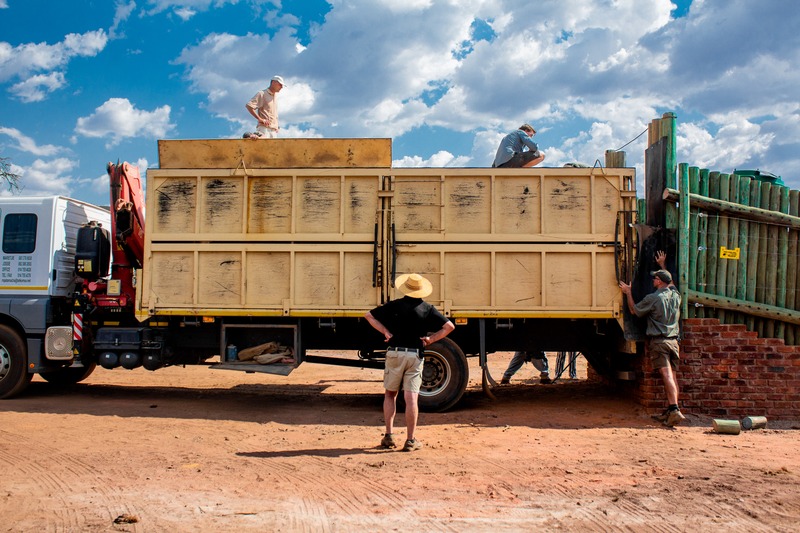 You’ve mentioned that one of the reasons for your return is that “Welgevonden Game Reserve offers a great deal of variety of experiences and endless challenges.” Can you elaborate on this? In the words of our Chief Operating Officer, André Burger, Welgevonden is on the forefront of conservation management. This is the place where ground breaking concepts are tried and tested and with this, a suite of constantly evolving challenges. For too long, reserves have isolated themselves from technological advancement. I mean, have you ever been to a reserve and not struggled to pick up cell phone reception? I know that reserves are typically “technology free” zones but by excluding these advancements, we’re losing out on the benefits that they could potentially provide. 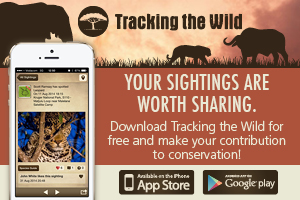 Right now, the “Internet of Things” (literally the interconnectedness of tangible items) is the next big “thing” and will help us in the fight against wildlife crime. 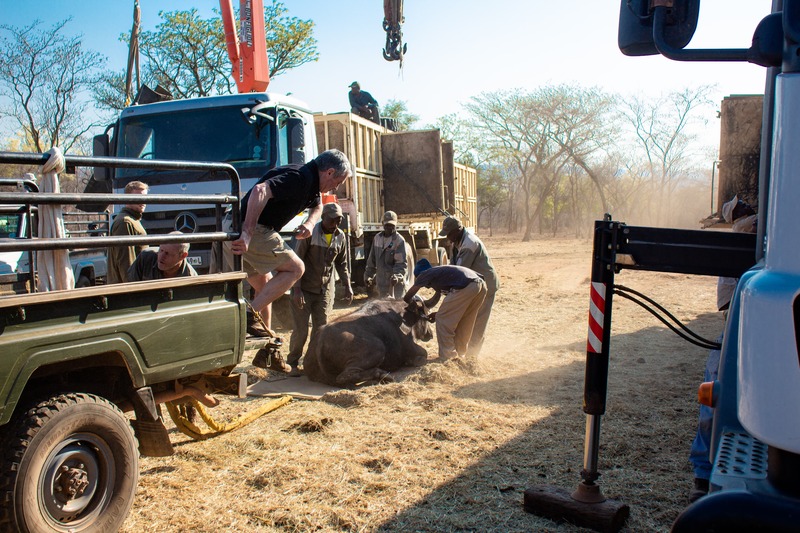 Embracing this next technological revolution and acting as the incubator to help in the development of this technology will aid the protection of our rhino and other wildlife species (and combat crime in general). We are currently being seduced by some very big names in communication and technology because we are professional, willing, and able to deliver on the implementation of new technological solutions. 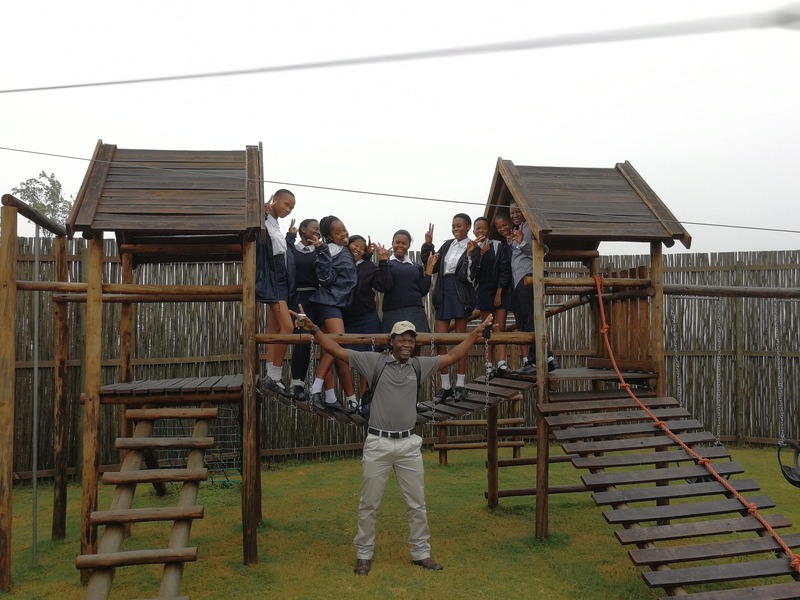 Talking about new projects, Welgevonden’s Environmental Awareness Programme came to fruition earlier this year. How do you feel this programme will help uplift our local community? The third pillar of sustainability is: social (the other two being the economic and the natural environment). Game reserves tend to focus on conservation, often disregarding local communities and the daily challenges faced by the unemployed and the poor often in close proximity to these wildlife sanctuaries. Our outreach program is an opportunity to create awareness around the benefits of conservation, not only in the form of conserving biodiversity but in long-term sustainable job creation. The message we’re trying to convey through the programme is this: Chefs, waiters, field guides, receptionists, etc., within the eco-tourism industry source local food and beverages which are consumed by tourists. These tourists likely purchased an air ticket (jobs) to South Africa, had their passports scanned by a government official (jobs), and were ferried here (jobs) by a charter that required refuelling (jobs!) in Vaalwater. Although the programme aims to instil the passion to conserve, it is the benefit of nature that we’re trying to emphasise. If a rhino is killed for its horn, there is in all likelihood only 1 or 2 community members, probably not from our local community, who will benefit financially (and only once off) whereas if that same rhino is left on the plain, it will attract people over and over again, creating an endless income stream. It is our duty to make these community members aware that where the former is not sustainable, the latter is. A win-win-win for all three: the community, conservation and the economy. 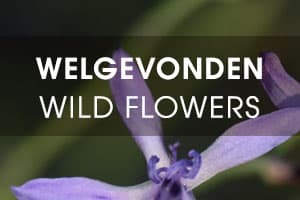 What, in your opinion, makes Welgevonden different to other private game reserves? Our location within the Waterberg has thrown some abiotic challenges our way which have helped shape our character for the good. It has forced us to look beyond the conventional wisdom and find out for ourselves what the potential of this land is. From a management perspective, decisions are based on contemporary scientific evidence rather than outdated conservation theories (thankfully we’re not traditionalists like that). Perhaps more importantly: the people. 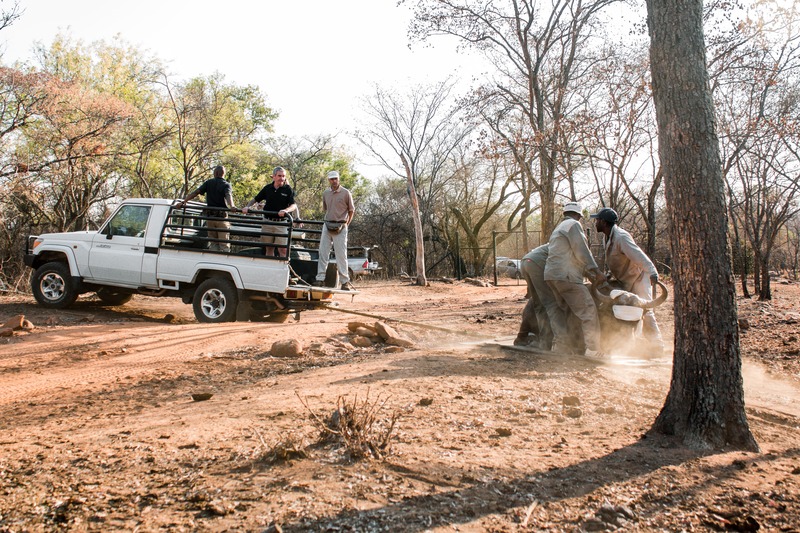 There is a serious desire (and realisation) that we have the capacity to be the best managed game reserve in the world and although there is an appreciation of our limitations, the “can do” attitude and fortitude of the staff allows for the achievement of things that other reserves can merely try mimic. We also have a good conservation oriented membership who care deeply about the Reserve. These concerned folk take the time and trouble to “be in the know” and actively contribute towards the decision making of the Reserve. Finally, we have strong leadership from our board and an approach to proper governance that is rarely seen elsewhere in other businesses. What do you believe are vital qualities that every CEO should have and how does this translate into success? Good business ethics, self-conviction, trust in your people & a sense of humour. You need to set smaller goals with the right people for the job and make sure that these are all facing the same direction. If I remember correctly, it was Jim Collins who used the analogy of a bus, which goes something like this: first and foremost you need a bus, but you also need a driver who knows where the bus is going, people who wish to arrive at this predetermined destination, and seats allocated to the correct individuals. Very importantly, surround yourself with good people; people who have a sense of curiosity and who are always willing to try. Give them the room to make some mistakes (although don’t be too reckless with this) and make sure they have the right tools to do their job to the best of their abilities. What are you most looking forward to about being based at Welgevonden Game Reserve again? I can reacquaint myself with the Waterberg, most aptly called ‘Big Sky Country’ and the friendly people who live here, many of whom dedicate their time selflessly to worthy causes that make our region and world a better place. Other bonuses include: I theoretically have a Big 5 Game Reserve all to myself – depending when I drive on it; I have got as rusty as an old nail with birds, flowers, trees and grasses – I look forward to spending some quality time in the field with Nikki, my wife, rediscovering these; and I get to drink one of my own craft beers without having to supervise the staff pouring it! Last, but not least, could you briefly describe what Welgevonden Game Reserve means to you? It is humbling for me to be chosen in this leadership position. The board has demonstrated their trust in me and I need to deliver. Being 57 years old, I do not think that the company would necessarily have granted me the opportunity to lead this prestigious Reserve had they not known me beforehand. I am extremely excited about the developments that are to happen in almost every facet of Reserve management as these will not only help me grow as a person, but our employees and the Reserve as well.